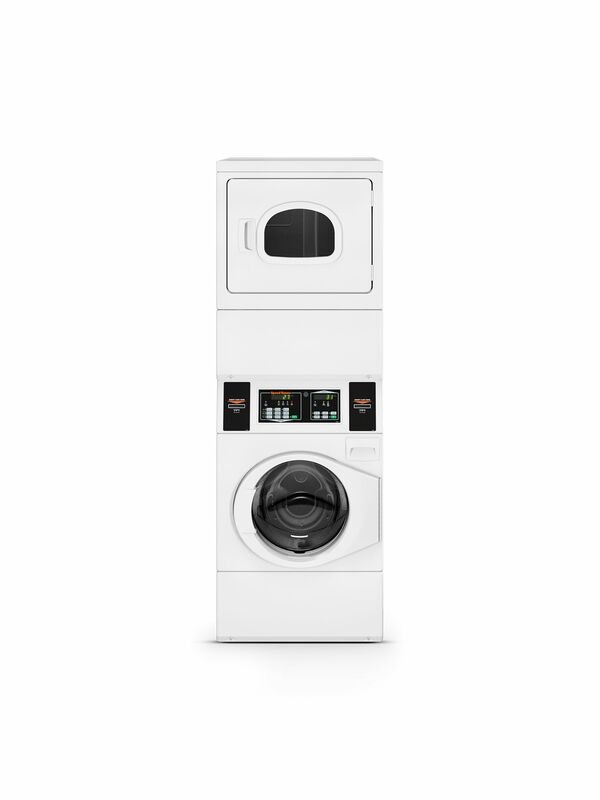 Speed Queen’s stack washer/dryers are designed to provide all of the power of Speed Queen washers and dryers while occupying only half of the floor space of a conventional washer and dryer setup. • Utilize the same connections and hook-ups required by a standard washer and dryer. • Revolutionary balancing technology automatically redistributes even the most unbalanced loads for consistent cycle times, minimized vibration and reduced noise. • 20% increase in capacity with improved water usage for improved efficiency. • Durable galvanized steel dryer cylinder. • Easy-to-clean and secure upfront lint filter.